another week has gone by and i haven't really had much time to do personal art. i was hit with some kind of zombie virus over the past weekend and i was the sickest i've ever been earlier this week. once it went away, i felt like a new human being. it was insane! but because of that, both the hubs & i were out of commission for half the week. so we've been plugging away at pages and i haven't really had time to do much of anything except a couple of sketches here and there. i realize i never posted this piece i did recently. so i found my old "The Little Mermaid" blanket from back in the 90s when it first came out. 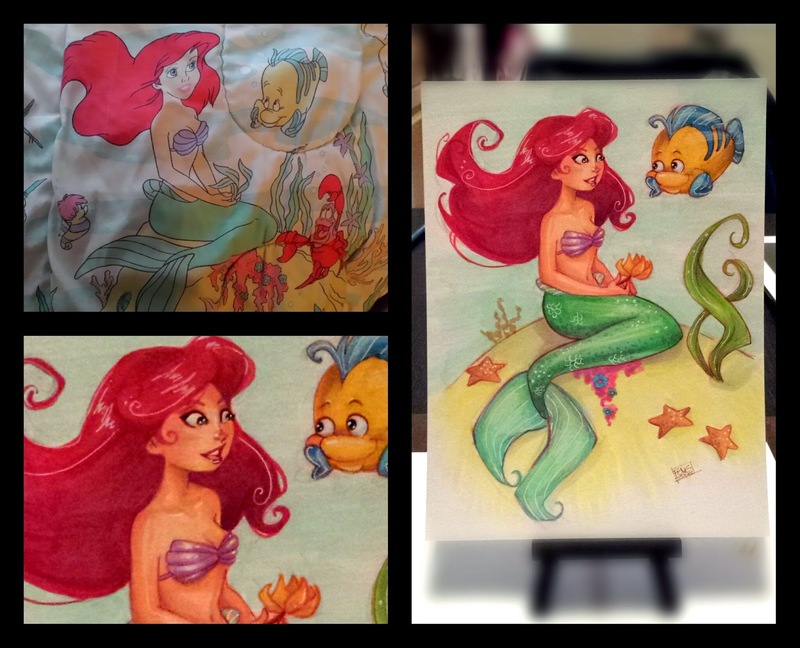 when i was younger, i started out drawing disney princesses and Ariel was one that i hold near & dear to my heart. but of course, cuz i was young and didn't know anything about drawing, whenever i would try to redraw one of the scenes on this blanket it would always be very disappointing to me. but now i'm all grown up and stuff, i took the opportunity to do it for myself and i'm finally happy with it. someday, i'm gonna do it again and see if i can make it even more cool. this was done on a 6x8 piece of paper with mostly copic markers, copic pens, white gel pens, and a little bit of colored pencils. 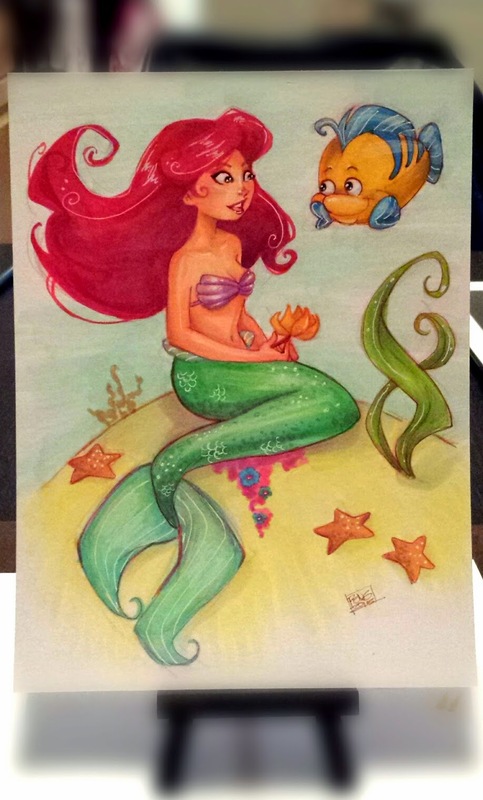 i'll be bringing this and maybe a couple of other original pieces with me to Emerald City Con. holy smokes, that's next month!